A durable and affordable collection of prisms. 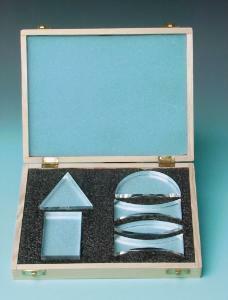 Made from clear acrylic sheet, this set contains six prisms in a variety of shapes. All sides are polished and the prisms all come in a protective wooden box with foam insert. 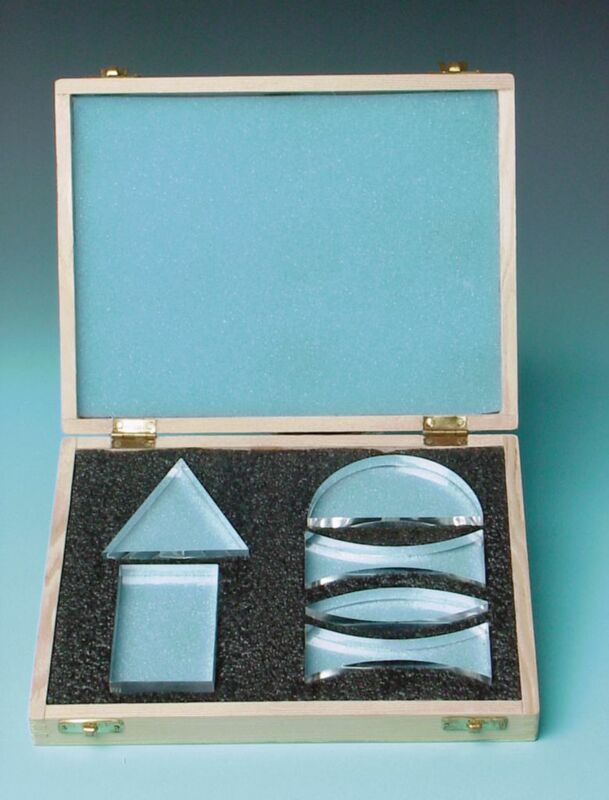 It includes one rectangular block (3" x 2" x 1/2"), one semi-circle (3 1/2" base x 1/2" thick), one equilateral prism (3" sides, 1/2" thick), one double convex lens (3 1/2" long, 1" at center), two double concave lenses (3 1/2" long, 3/8" at center), and an activity guide.